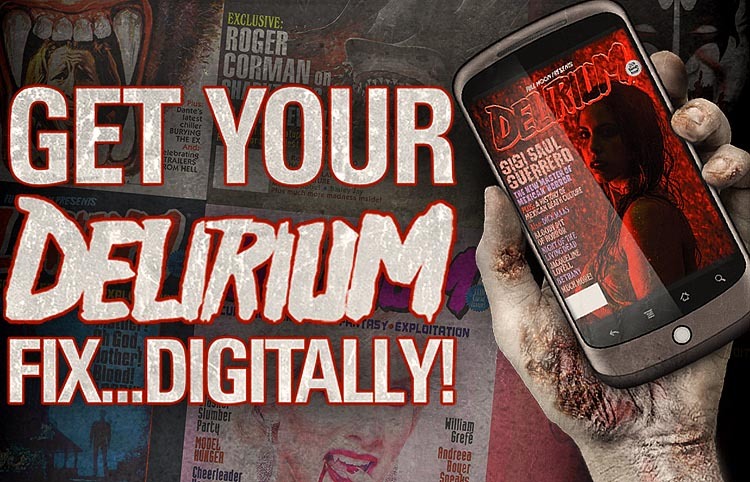 Welcome to the New Flesh: www.DeliriumMagazine.com has been Reborn! To time with the impending release of the upcoming DELIRIUM Magazine #18, artist and designer Chad Savage has totally re-vamped our web portal www.DeliriumMagazine.com! In the coming weeks, expect a new wave of fresh, original content, including film and music reviews, exclusive interviews, essays and news as well as sneak peek looks at pages from our acclaimed print magazine! 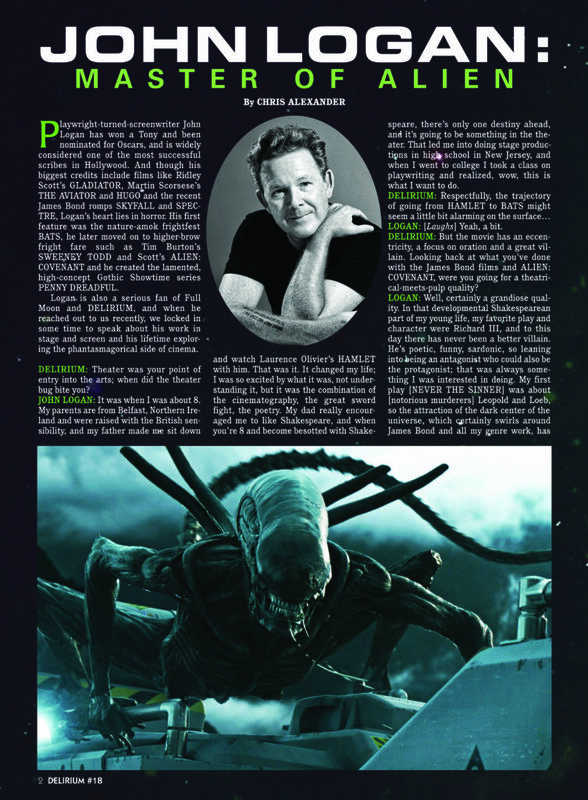 Here’s a page from our exclusive interview with Oscar nominated screenwriter (GLADIATOR, SWEENEY TODD, SKYFALL, ALIEN: COVENANT) and PENNY DREADFUL creator John Logan, discussing his adoration of both Shakespeare AND horror movies. It’s a wild read! This feature and tons more await you in our David Cronenberg-heavy 18th issue (scroll down to see our incredible cover by photographer Ama Lea) and you can order that issue now by going HERE! Keep visiting www.DeliriumMagazine.com and explore some of the great editorial we’ll be running. 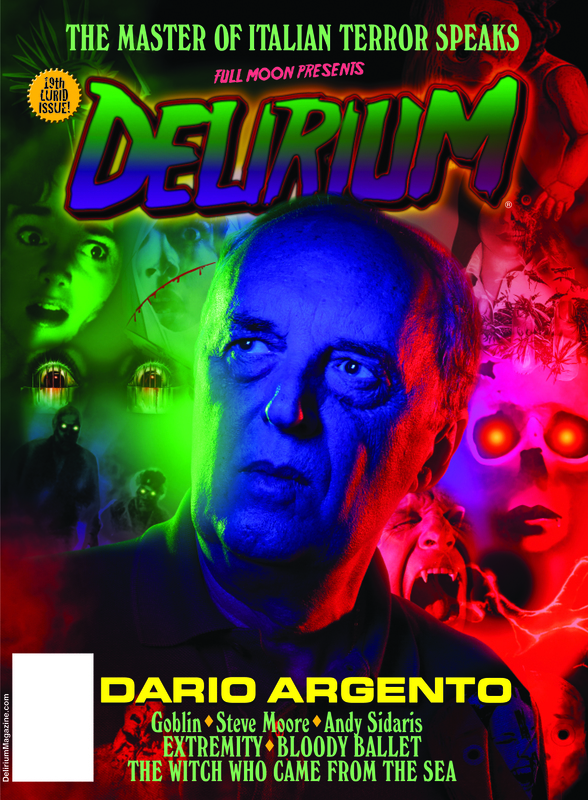 At DELIRIUM, we’re not just riffing on horror movies, but ALL cult, fantasy, exploitation and oddball cinema. We just throw all our messy shared psyches at the wall and whatever sticks ends up in our magazine, and now…here. You never know what you’re gonna get. Thanks for reading and sticking with us. Things are about to get weird (er)!